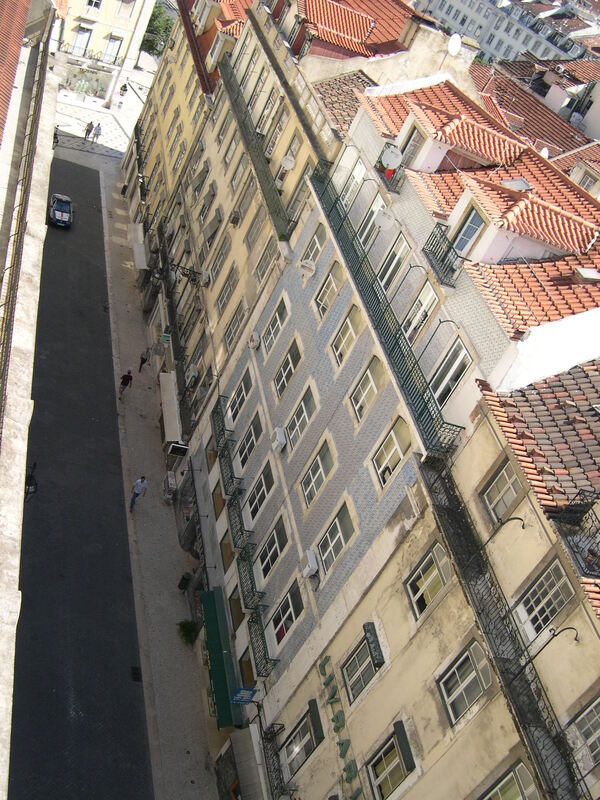 Rua do Carmo, Lisbon, 2008. The historian takes possession of the past by interpreting traces, whereas the trace of the past happens to the stroller and takes possession of him. Let us not claim, however, that nothing happens to the historian; undoubtedly his desire also involves an anticipation, a curiosity with regard to what will come to him from the past, what he will discover in the shadows and encounter. There is often a stroller at the heart of each historian, a part of him that is trying to let himself be touched by the traces. For Benjamin, the possibility of experiencing the past requires certain conditions. In particular, the frame of mind for letting oneself be touched, for letting oneself be taken by the aura, requires a true idleness. The stroller cannot want to arrange time himself, for example, by undertaking some project or by precisely scheduling his course of action; rather, he must be available to time, to let time pass, to spend it without keeping count, to know how to waste it. This is not a simple form of passivity; to make oneself available is still to make something, to do something. The stroller strolls and the shuffler shuffles with a prior knowledge of certain things they are going to encounter.